Recent analysis on the world of woodworking machines shows the prevalence of some significant trends that will have a decisive impact on the sector and will contribute to its continuous and gradual growth. According to the "Global Woodworking Machines Market 2017-2021" study by Technavio, the woodworking machines market is expected to reach $4,414 billion by 2021, an increase in CAGR (Compound Annual Growth Rate or Annual Compound Growth Rate) close to 3% for the period from 2018 to 2021. One of the main driving factors that is sustaining and pushing market development is the growing demand for wooden products and furniture. There is no doubt that the woodworking machines market has undergone a revolution, regardless of whether we're talking about craftsmen, carpenters or large industries. New trends in the sector are definitely leading this revolution, however, increased consumer demand is also having an impressive positive impact on this dynamically growing market. More and more companies are able to meet the needs of their customers, and the ability to offer different, personalised and unique products has certainly expanded the range of consumers. In short, the woodworking machines sector is experiencing a significant growth in demand. 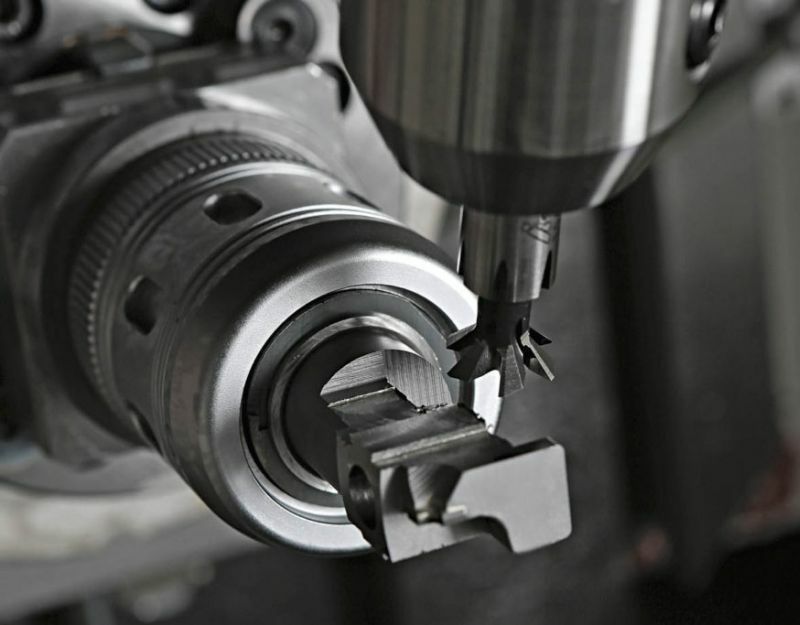 As previously mentioned, the latest trends are greatly facilitating the various woodworking processes: in fact, new automatic machines simplify programming and combine processing steps (cutting, milling, sanding, etc.) into one machine. Tasks that used to take a few days now only take a few hours, thanks to new machines that can handle numerous operations at the press of a button, leaving the machine operator to get on with other tasks. The work process has changed radically both in the major woodworking machine industries and artisan and carpenter workshops, who understand that they must invest in technology and automation in order to remain competitive in the market. With the proliferation of new companies, customer needs and requirements are also growing, and they are always careful to choose the very best product. And, as in any other type of current market, the best product is always a personalised product. It’s exactly for this reason that automated machines can also create personalised products, satisfying even the most extravagant needs of the final consumer. Furthermore, automation in woodworking machines reduces waste both in terms of materials and time, making operations more precise and faster than they were before, without sacrificing aesthetics or the quality of the final product. For some years now, prefabricated wooden houses have been accepted as a housing solution. It may be due to the speed with which they can be built, due to their aesthetic versatility (wood is an extremely elegant material) or due to their efficient and ecological nature – whatever the reason, wooden housing is becoming more and more in vogue. The market has therefore embraced new solutions, offering a wide variety of prefabricated structures, from tailor-made garages, to bungalows and multi-storey houses. Italy was one of the first European countries to embrace prefabricated wooden housing. Another example of a rapidly growing market is Germany, with an increase in prefabricated wooden houses equal to 11.5% since 2015. Similarly, the Chinese government is providing incentives to use wood as a construction material, thus paving the way for the construction of wooden houses. 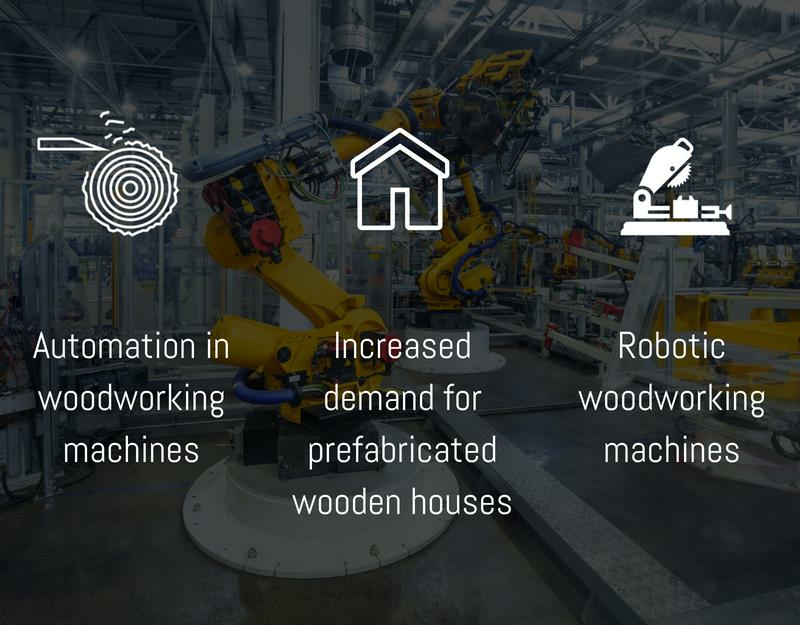 The technological revolution has also impacted the woodworking machinery sector and has laid the groundwork for other innovations, such as the development of robotics in machinery, which allows for the production of better and cheaper wood solutions. Some of the largest and most reputable companies in the sector, such as Biesse, made their debut on the machinery market with highly robotic tools that can produce a greater number of finished products at a higher quality, saving manufacturers the various costs that come with more traditional production techniques. These increasingly advanced solutions make the woodworking machines market truly fertile and full of hope. Market growth can definitely be attributed to these efficient and highly productive machines. Italy is famous all over the world for its high-quality woodworking machinery, and all of this is thanks to the numerous companies along the supply chain that demonstrate their own efficiency in various work processes and the use of new technology over the years. During this period of construction sector activity and recovery, the demand for wooden products and furniture has also increased, due to requests for various public and private building renovations. This is definitely a great growth driver for the woodworking machinery industry. To promote, and above all maintain, steady market growth, it is therefore vital to embrace the main emerging trends on the global scene, and therefore make the most of all the new opportunities the latest technology has to offer.